Owners of Wolf outdoor grills will be glad to know that all of the care your grill requires can be handled by the BBQ Cleaning Guru. We have worked on our fair share of Wolf gas grills, and know what makes these great models go. 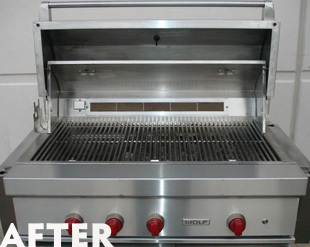 Look to us not only for the best in barbecue cleaning services but also BBQ repairs and even BBQ restoration services. As with any profession, success in our industry relies on experience and knowledge. Our grill cleaners are committed to their craft, and to completing their work professionally, affordably and in a timely manner. Like all proponents of grilling, you depend on your barbecue for great tasting food. Your grill wants to oblige, and if you care for it the right way it will oblige you for years to come. In Phoenix, caring for it the right way means calling the BBQ Cleaning Guru. No matter the type of Wolf grill you have, we have seen it, cleaned it, repaired it or restored it. We are all about prolonging the lives of outdoor grills and making certain that they perform to the best of their abilities. 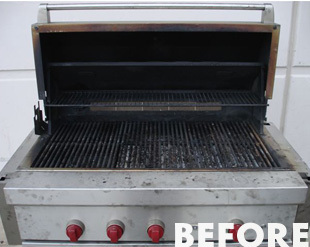 You don’t have to be an expert on grill maintenance, that’s what we are here for at the BBQ Cleaning Guru!